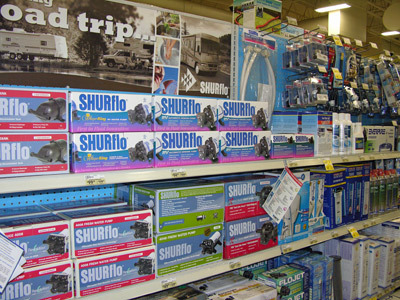 This companion article focuses on the types of maintenance supplies that might, likewise, be carried in the RV. 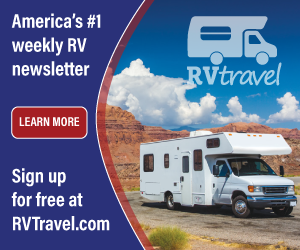 It is understood that not every RVer camps nightly in a luxury RV resort; that some of us prefer those off-the-beaten-path sites, without hookups or other fancy glamping embellishments. In remote dry camping scenarios, (boon-docking), far from RV service shops and big box stores, we are left to our own devices and must utilize what supplies we have on hand at any given moment. Therefore, it is somewhat imperative that we stock the appropriate supplies to eliminate any discomfort or downtime due to a lack of having the right part or piece at the right time. Obviously, the supplies listed here may not be for everyone or for every type of recreation vehicle. But peruse these thoughts and filter them through your own reality and see which of the following you should consider stocking as you travel. You just never know, you may come up with the “right piece at the right time” to help keep yourself or another RV traveler on the road. And that’s a good thing! Black Electrical Tape - Electrician’s tape is handy for wrapping and securing wire nuts found in junction boxes throughout the 120-volt electrical system and for insulating other electrical components. Blue Painter’s Tape - I’m a stickler for fit and finish and nothing screams “amateurish” louder than sloppy applications of silicone sealant or roof sealants. Blue painter’s tape or a low-density masking tape can be easily used to neaten up resealing jobs. It’s also handy for a plethora of other tasks in and about the RV. Aluminum Duct Tape - For patching and fastening air distribution ducts for heating and air conditioning systems. Butyl Tape, (putty tape) - A “must have” when securing any component to the exterior of the RV. If you look closely behind window and door frames, between those components and the sidewall, you’ll see ample examples of the use of butyl tape on just about every RV. It also comes in handy for stuffing into openings underneath the RV to seal against critter infestation. Eternabond Tape - I endorse Eternabond products and highly recommend all RVers carry a roll or two of their EMT Tape at the very least. But check out their entire product line. Exterior surfaces, roofing surfaces, metal components, slide mechanisms and rubber stuff all need periodic lubrication and protection. Having an assortment of products in spray cans just may come in handy. Protect All Spray - An industry standard for many years. Spend some time digging deep into their very informative website. Many RVers I know will not travel without a can of Protect All Spray on board. Lubricating Spray - Boeshield T-9 - I’ve been sold on this, non-silicone, lubricating spray for many years. I use it on my vehicles and in my home often. 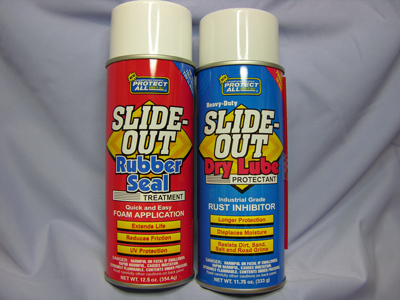 Slide-out Lube - Lubrication of slide mechanisms is important, crucial in some circumstances, and it is vital that the lubrication be a dry lube. Slideout Rubber Seal Treatment - I’m favorable to Protect All products for both the Rubber Seal Treatment and the dry slideout lube mentioned directly above. Tire Protection - For all things rubber or vinyl, 303 Protectant has proven positive for many RVers for many years. Expanding Spray Gap Foam - Used to fill voids and gaps around plumbing components, tubing and electrical harnesses that penetrate through the under flooring portions of the RV. It plugs cracks, gaps and holes and insulates as it prohibits unwelcomed critters from entering the RV. Assorted Spray Paints - You choose the colors you need, but your RV may require some fresh paint on the undercarriage or propane containers from time to time. Never allow metallic components to rust! Probably the most important of the supplies you’ll ever carry with you. Having the right sealant at the right time may eliminate long-term downtime or those “dead-in-the-water” scenarios. A major plumbing or propane leak can simply ruin a perfect vacation. 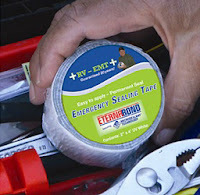 Pipe Thread Sealant, (potable water suitable) - This one you’ll need when removing, reinstalling, or replacing fresh water system threaded pipe fittings on the coach. Be sure it’s approved for potable water. Pipe Thread Sealant, (flammable gas suitable) - There are many to choose from; but be sure your choice is applicable to propane gas. By the way, if you tend to favor the Teflon tape type of thread sealant, be aware that the common white Teflon tape is not approved for flammable gasses. The yellow Teflon tape is approved for propane and other gasses, however. Loc-Tite® Thread Sealant - This is a handy sealant to have on board for those pesky bolts, nuts and screws that seemingly back out or loosen during travel. There are many types to choose from so be sure to carefully analyze what your coach may require. Silicone Sealant (caulking), Clear & White - As much as I distain silicone type caulkings in general, in some cases, it is just handy to have some. Just be conservative in its use. Nothing looks as bad as silicone caulking sloshed around a component that looks like it was applied by a trained chimp equipped with a three-inch spatula. 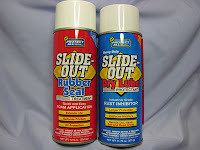 Use your blue painter’s tape to mask off a clean line when using silicone sealants. 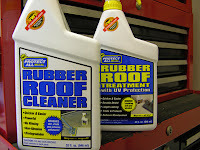 Rubber Roof Patch Kit - Dicor produces a nice patch kit for rubber EPDM roofing. 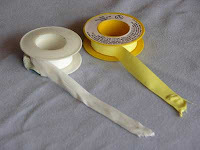 Likewise Eternabond tape of the appropriate width can also suffice nicely for small tears or punctures. 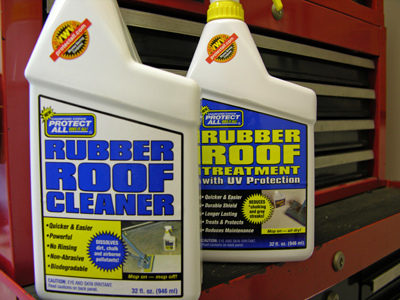 Roof Seam Eliminator - Another great Eternabond product; this kit comes with all you need to seal any front or rear cap joint on the roof. Fiberglass Patch Kit - Yep, for eliminating that hole in your fiberglass roof or end cap when you backed into that site with the low hanging branches. I’ll exclude the obvious oils and lubricants used on motorhome engine and chassis components. You obviously already know about crankcase oil, zerk fittings, transfer case oil, wheel bearing grease, transmission fluid, rear-end grease, etc. If not, refer to your owner’s manual for the specifics of your chassis. Dow 111 Grease - Dow 111 is recommended for lubricating termination gate valves for waste systems (the dump valves), as well as rejuvenating dried out rubber seals or diaphragms found in some plumbing fittings. Marvel Mystery Oil - In an earlier life, I used Mystery Oil in my pneumatic tools in the shop. If you employ air-powered tools, you’ll not find a better lubricant. It can also be used for dissolving greases on or about the engine compartment or for rejuvenating rubber hoses. Plus it just has a cool name! Solderless Electrical Terminals/Lugs - Self-explanatory, I hope. If not, you needn’t bother with these. Heat Shrink Tubing - We teach the professional RV service techs to always use heat shrink tubing when making electrical connections. Get the type that has an internal sealing compound that make the connection watertight. 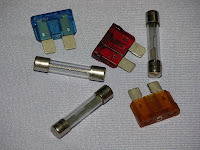 Assorted 12-volt Fuses - Check your owner’s manual for the type and ampacity ratings used in your particular RV. Assorted 12-volt Bulbs or LEDs - Again, go through your rig and determine how many and what ratings you’ll need in case a few decide to die during your next dry camping trip. Caig DeoxIT Kit - I’m a big fan of this product; use it on any and every electrical connection. Read my reasons why in this article. 0000 Steel Wool - Steel wool in the “Specifically Electrical” section of this article? What? Just watch this short video and you’ll see why. 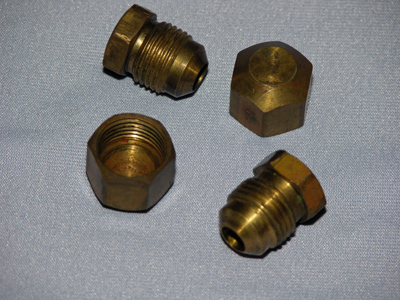 Assorted Flare Plugs and Caps - This one might require a bit of explanation, but considering that all the propane appliances found in the typical recreation vehicle are fed its steady diet of the fuel through a few different types of distribution plumbing, almost always, the final connection to an individual appliance is via copper tubing. If an ill-acting appliance needs to be removed for any reason, having the right size flare plug or cap will guarantee you’ll be able to safely continue to use the remaining appliances in the propane system. The nice thing is that flare fittings require no sealants. Assorted Pipe Plugs and Caps - All for the same reasons stated just above, but for the water system more so than the propane system. But keep in mind, some distribution piping in the propane system also uses threaded pipe fittings as well. Children’s Blowing Bubbles - I can already hear you muttering, “Okay Doc, you got me on this one!” But checking for propane leaks at individual fittings and connections requires some type of soapy solution or a more expensive leak detection fluid. I’ve been using dime store blowing bubbles for over forty years now. It’s very inexpensive and the viscosity of the bubble solution is perfect for RV propane delivery line pressures. Plus, some dish detergent solutions, though equally inexpensive, can cause caustic reactions to copper tubing and brass gas fittings. And getting the right viscosity takes some getting used to. With a bottle of blowing bubbles, it’s just right, straight out of the bottle. Cleaners, Restorers, Waxes and Polishes - Exterior care products come in a variety of types, formulas and degrees of sophistication. I tend to favor Protect All products since that’s been there specialty for many years and they have a proven track record. But whatever products you finally decide on, it’s important that each product be approved for “that” type of exterior surface. In my Exterior Care seminars, I mention that all products are not created equal and there’s no such thing as a “one size - fits all” type of cleaner, polisher or protectant. It must be formulated for the exact surface to which you will be applying it. Damage, both temporary and permanent, can result if using the wrong product on the wrong surface. Know exactly the types of exterior surfaces on your rig and read the labels fully and carefully. If in doubt about which type of roofing material you have or what are the sidewalls are made from, etc., contact your manufacturer or dealer to be sure. It’s quite possible you have other RV maintenance and emergency repair products you regularly use besides the ones mentioned here. Be sure to let me know which products you favor. But the importance of having the right selection of these types of products on hand as you travel cannot be overstated. Some just may make the difference between continuing on your way, or making an emergency detour into an RV service facility. And remember, RVing is more than a hobby, it’s a lifestyle!